The following is an explanation, to help you better understand the services that your pet will receive while in our care. Pre-Anesthetic Profile, CBC, PSP (Pre-surgical Profile) - These are blood work panels. 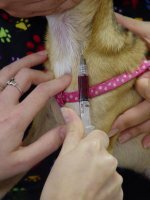 Blood work is VERY important in order to assure your pet is healthy enough to under go anesthetic procedures. The Pre-Anesthetic Profile (or PAP) and the CBC are usually performed together on older patients or more in depth surgical procedures. They give a more detailed look to determine your pet's health status and ability to tolerate anesthesia. The PSP is run on younger patients, usually in for routine procedures, such as spays, neuters or dentals. ECG (Electro Cardio Gram) - The ECG detects heart rate and electrical rhythm. Certain abnormal rhythms and heart rates can be harmful to animals undergoing anesthesia. You deserve peace of mind. Pretesting can significantly reduce medical risk and ensure your pet's health and safety. If pre-anesthetic results are within normal limits, we can proceed with confidence, knowing that anesthetic risk is minimized. 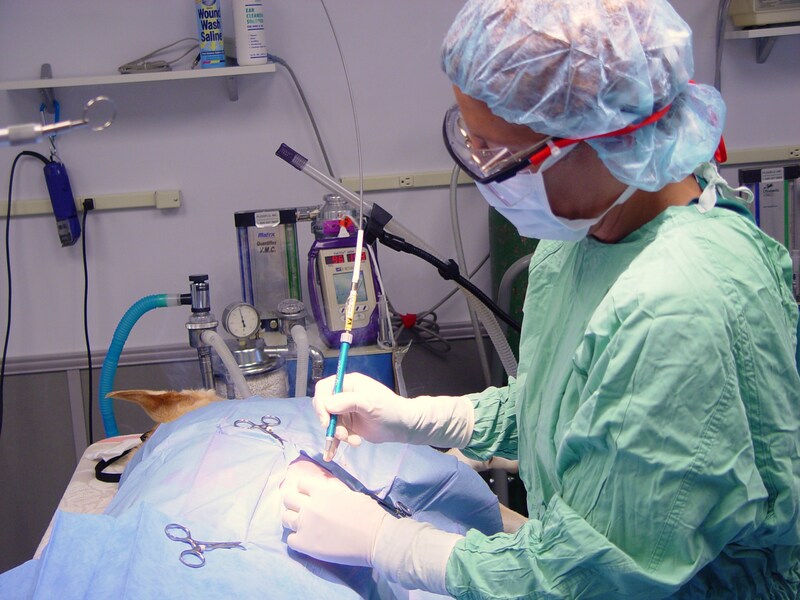 On the other hand, if results are not within normal limits, we can alter the anesthetic procedure, or take other precautions to safeguard your pet's health and reduce the risk of potential complications. Propofol, Telazol, Ketamine and Valium - These are pre-anesthetics given to help your pet relax right before surgery. Isoflorane - This is the anesthetic gas used to keep your pet sedated during the procedure. It is very safe and is eliminated quickly after surgery to ensure faster wake up. Laser - In most surgical procedures we use a laser instead of the traditional scalpel or scissors, which can bruise or crush tissue. There are many advantages to using the laser. Reduced pain and swelling promote a quicker recovery and less trauma for your pet. Less bleeding simplifies surgery, and may reduce anesthesia time. The sanitizing effect of the laser beam reduces the risk of infection. Cefazolin, Baytril (Antibiotic) - This injection is to help reduce the risk of infection after surgery. Torbugesic, Buprenex, Rimadyl, Tramadol, Metacam and Onsior - These are pain relieving medications. Most surgeries require one injection before or right at surgery time, to help your pet be in less pain immediately after surgery. Other medications are given for a couple days after surgery to ensure your pet remains pain free. 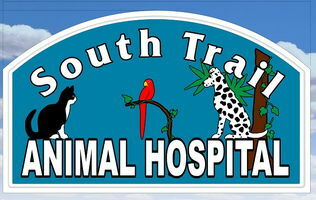 At South Trail Animal Hospital, we stay with each pet until they are fully recovered from anesthesia. 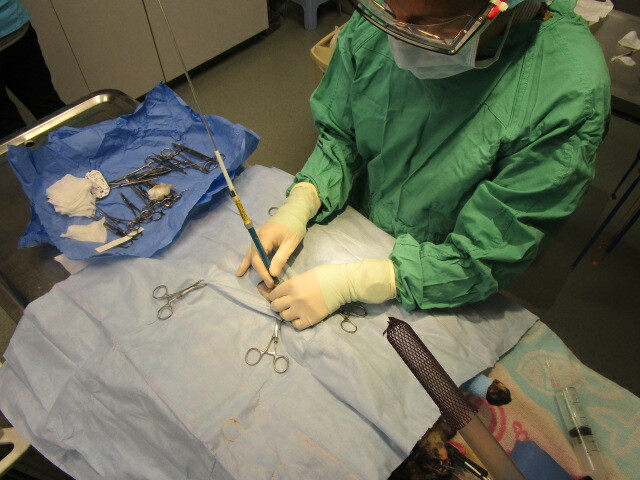 The technician will take as much time as needed to ensure your pet is safe and comfortable after surgery. Smaller pets are wrapped in blankets, along with pet warmers and held in the technicians arms during recovery. Larger pets are also wrapped in blankets along with pet warmers, and pillows surround the area while the technician remains with them. Meanwhile, the technician monitors your pet's condition, watching for pale gums, hypothermia (cold temperature), respiratory distress, and heart rate. At NOpoint during the surgical procedure and recovery is your pet left unattended.